When riding your M109R in high-temperature condition and suddenly feeling sluggish. Usually passing through the area with heavy traffic. Already change exhaust system, air intake, re-map, engine tune. The cowling around radiator can install back on directly. No need to cut or drill the cowling. due to global warming, the temperature around the world is higher and higher! it’s time to upgrade your cooling system to maintain engine’s performance and extend engine’s life! 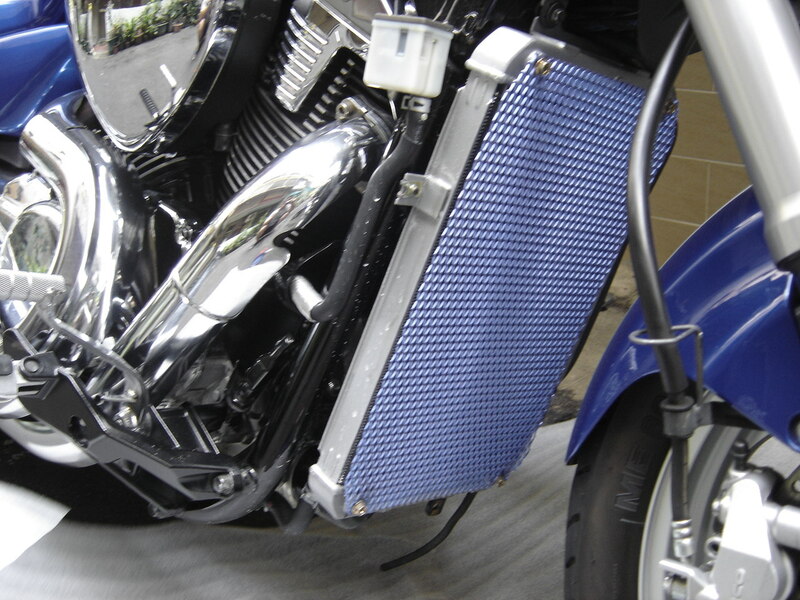 We have engineered and fabricated a revolutionary new replacement radiator for the M109R. As you have probably noticed the M109R runs stronger with more power when the engine is in a cooler temperature range. The stock radiator helps but does not keep the engine in that cooler range, especially in the warmer countries and states (ie. Australia, Asia and a lot of the southern and south western states in the US). 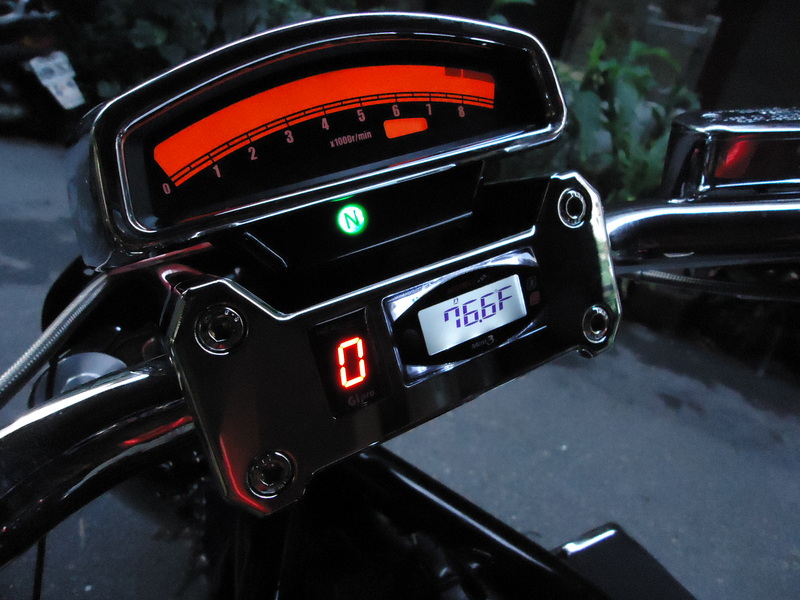 When you are riding on a hot day in those areas you can feel that the bike is not as powerful even if you have done the power upgrades. When you get into slower traffic or in town driving. You will also notice that you radiator fan almost runs nonstop at the slower speeds. On this new radiator has been set at a different angle to further improve airflow and cooling. 1. The stock radiator inlet and outlet are on the left side so the coolant takes the path of least resistance and enters and stays mostly on the left side. So the right side of your radiator is not doing a good job in heat exchanging. With our radiator, when the coolant enters the header tank, the tank it is set up to distribute the coolant evenly through all the core chambers and then back to the radiator outlet for much more even cooling and it keeps the engine temperature at a lower range. 2. With the new radiator you have an increase in thermal conductivity. 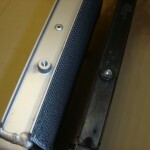 The fins on the stock radiator is a reverse tube pitch to drain the multi-row coils for vertical airflow. 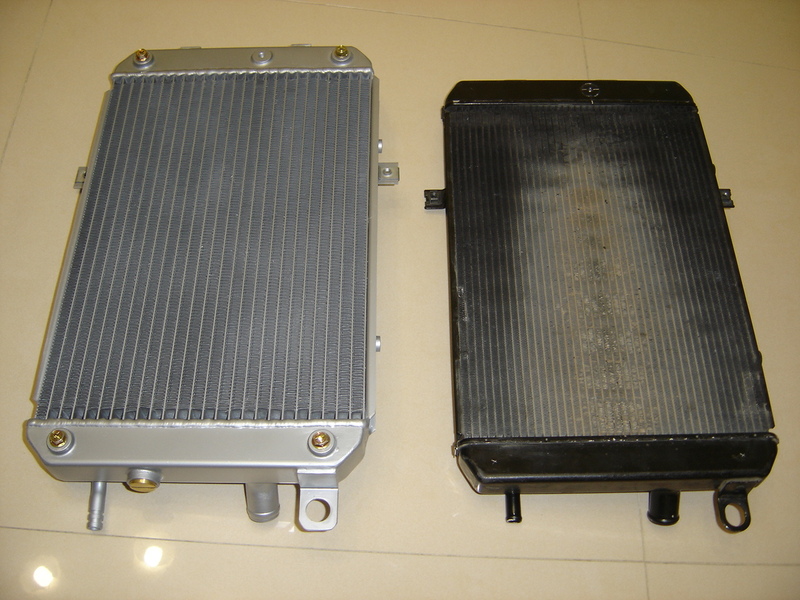 On the new radiator the angle is changed to encourage more heat dissipation and there are more micro fins per row than the stock radiator. 3. 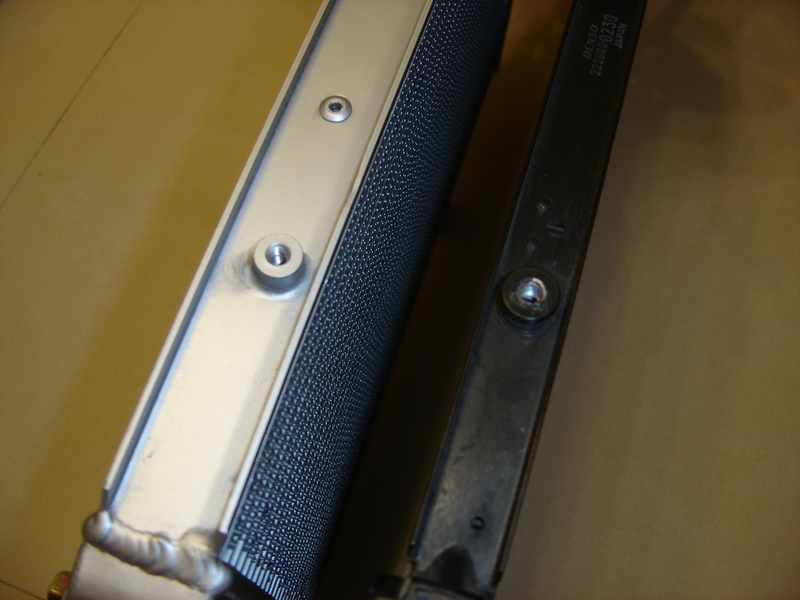 As you have noticed that after you ride your M109 for a few months or more you find the stock radiator tends to blind off from the small sand and debris you pick up on the highway further reducing the stock radiators effectiveness. The stock radiator, once this happens is difficult to clean but the new design is easy to clean and traps much less dirt. 4. 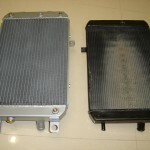 The new radiator is also quite a bit thicker in depth 32mm as compared to 20mm on the stock radiator. The new design fits in the stock location with no modifications. You have a lot more surface area to dissipate a lot more heat. 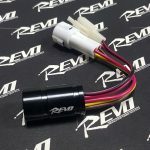 Deeper radiators are available up to 44mm for racing or custom made to what you would want. The stock factory cowling can install back on. This picture is only for customers to see our product clearly.